Match your biggest challenge with the right security service. The security landscape is challenging. What if you had help taking things to the next level? Answer three quick questions to find the service that fits best. What is your biggest security challenge? Which of these is your biggest concern? On a day-to-day basis, which worries you more? Which of these are you most concerned about? Your team is stretched thin. What’s slipping between the cracks? It’s when a breach will happen, not if—and we aren’t ready. We need better security. Response is key. And we aren’t ready to rebound quickly and effectively from a breach. I need to be better prepared for a breach. I’m worried that our current security plan isn’t enough. I’m so busy trying to manage security, I don’t have time for anything else. I should be supporting innovation and new strategies, but I’m too concerned with security to think about anything else. Compliance gaps—we need to identify and close them. Fast. Data security—we need a personalized segmentation strategy. Identifying and closing gaps in our privacy practices. Keeping up with the best privacy practices. Keeping up with new technology and regulations. Managing the security of all our connected devices. We aren’t deploying Identity Services Engine (ISE) and other technologies completely right the first time, and that causes costly delays and reworks. A one-size-fits-all deployment service wastes our limited budget. We need customized help. We don’t even know what might be slipping through. We’re so busy maintaining security and trying to keep up with new technology and regulations that things are getting missed. We’re struggling to deploy new technology seamlessly because our day-to-day security issues keep us too busy. Then fixing those deployments takes more resources—it’s a catch 22. Security. What good is innovation if it opens us up to a breach? Innovation. If we don’t innovate, we won’t have a business to keep secure. The experienced Incident Response Services team has your back. They use Talos, one of the world’s largest threat intelligence networks, along with cutting-edge technology to strengthen your security. Respond faster to incidents when they happen. Incident Response Services use intelligence from leading threat researchers at Talos and the latest security technology to help you spot threats before they’re a problem, and act fast when a breach happens. Incident Response Services help you evaluate existing security plans and develop new plans to deter breaches. They also begin traveling onsite within hours of a breach to provide assistance. 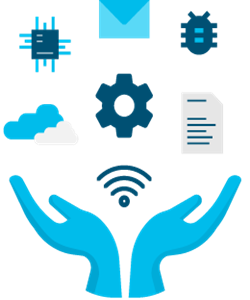 With Incident Response Services, Cisco assesses and designs an incident response approach that helps you strengthen your security program, mitigate risk, and reduce the damage of an attack. You’re about to get a lot of time back in your day. With Security Services from Cisco, you can focus on your digital business initiatives while still prioritizing security projects. With Security Advisory Services, you can focus on the bigger picture while keeping threats in line. We work with you to safely grow your business, implement new technology, and anticipate and respond to threats. Now you can get expert advice and support to close the distance between your existing practices and what’s required for Payment Card Industry (PCI) requirements. Not only that, but Cisco Security Advisory Services can also help you leverage PCI for broader security within your organization. Segmentation shouldn’t be a one-size-fits-all service. 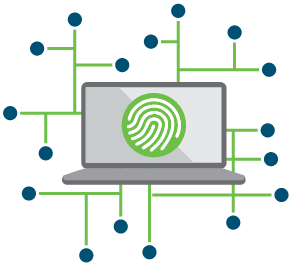 With Cisco Security Segmentation Service, you get a personalized approach that extends beyond the network and considers your entire business, application impacts, and vertical-specific design patterns. Now you can get the customized plan you need—one that understands your unique requirements, assesses your current capabilities, and helps you develop a custom framework for evolving privacy practices. Introducing Cisco Privacy and Data Protection Services. If you’re looking for privacy process that go well beyond the General Data Protection Regulation (GDPR), we have your back. Check out the 2018 Privacy Maturity Benchmark Study, along with step‑by‑step recommendations. What if you could stay compliant and quickly identify current vulnerabilities without straining your IT team? Cisco Business Critical Services for Security combine analytics and automation to help your team stay on top of security. Mobility and cloud add new layers of complexity to your network and new security challenges. What if you had a balanced security solution that provided proactive protection and adaptable expansion without taxing your team? Managed Security uses analytics and expert intelligence to manage your mobility needs. Cisco Security Services come with the expertise to help you deploy technology quickly and efficiently the first time, every time. With Cisco Security Implementation Services, you can spend more time innovating and less time installing, troubleshooting, and deploying technology. Sustainable security in this constantly changing business world seems impossible with everything else you have to handle. That’s why Cisco Business Critical Services for Security is here to help you optimize, predict opportunities, preempt risks, and navigate transitions. When you have Cisco Security Services on your team, you can deploy technology like ISE correctly without taxing your staff. It’s a simple, secure way to deploy new technology and remain innovative. Cisco Security Services help you build and maintain a comprehensive security strategy that fits exactly what you need. Cisco Security Services help you build and maintain a comprehensive innovation strategy that fits exactly what you need.